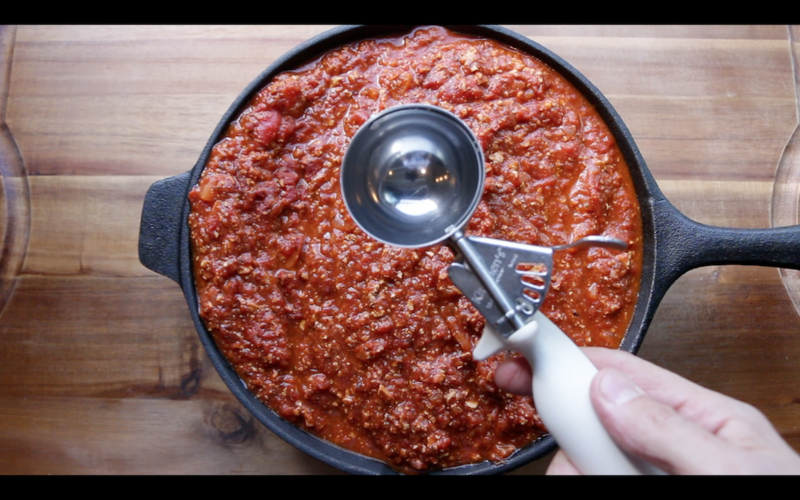 The best way to freeze pasta sauce. Using an ice cream scoop, place the sauce in muffin pans. Remove from pan and place in freezer bags. No more big messy solid containers that take forever to defrost. And, you have convenient control of the amount you really need for a specific occasion. No more wasted pasta sauce, or stained plastic storage containers for me for me! This is a wonderful idea and an easy helpfuld tip.